It's been an epic adventure so far. Today, we want to get you involved in something that we believe will reach millions. Along this journey, we have learnt that to 'live passionately' is to chase your dreams and to risk it all in order to create something truly remarkable. And today, we continue that pursuit with one of our wildest dreams yet. The Live Passionately film documents the journey of our 'Live Passionately' movement. The film follows the tribe as they are taken on the adventure of a lifetime to the Philippines. 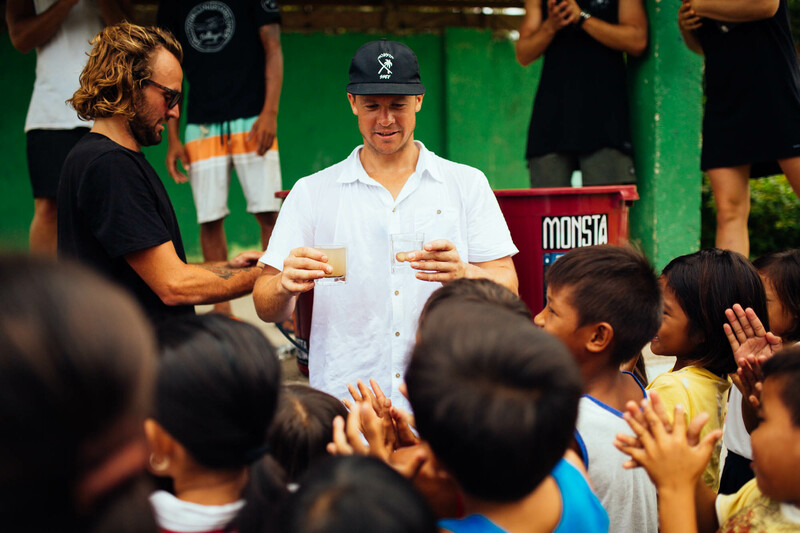 In this 50 minute film, the team head to the Philippines in order to find paradise and search for perfect surf... but what unfolded was not what anyone expected at all. This film is for you. And for those in your world who need to hear this story as well. 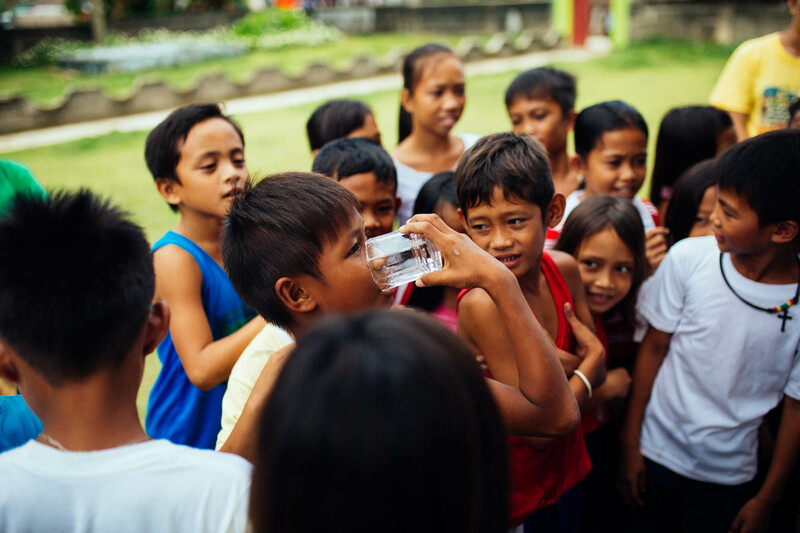 We also want to build awareness and raise funds for more water filtration and re-development projects for the locals affected by Typhoon Yolanda, who are featured in this film. We've put our absolute everything into creating this film over the past 6 months with the hope of inspiring millions of people to 'live passionately' and consider their impact in their own lives. All we know is that we can't do this without you. We're all in this together. And we want to reward you for partnering with us on this mission to impact millions of people. The Monsta Foundation exists to empower our global tribe to remove the chains that hold people back from living a life of passion & purpose. We hope to raise funds through this film for more water filtration and re-development projects for the locals affected by Typhoon Yolanda, who are featured in this film. The first $20,000 raised through StartSomeGood will go to funding the core costs of producing the Live Passionately film. Your purchases and contributions will pay for our post production costs. Something that we have learnt is that making films is very expensive. Even if we hit this goal, we will still be in debt from the actual trip. But we are doing this because we know this story matters. We have seen the personal impact that our story has had on thousands. And we want to get this into as many hands and homes as possible. To inspire people to 'live passionately' in their own lives and to consider their impact in their own world. Advertising and Distribution to spread the story to millions. World class post production grades. Epic premiere parties with you all! 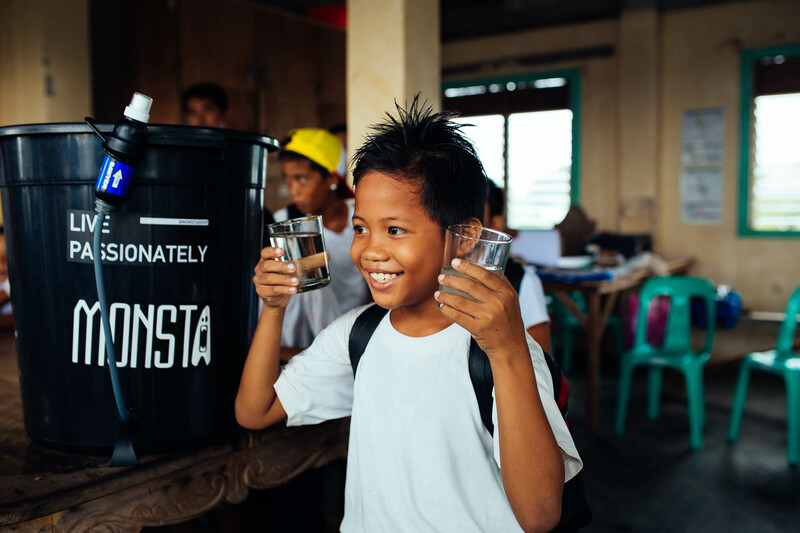 Funding for water filtration and re-development projects for the Filipino locals affected by Typhoon Yolanda, who are featured in the film. Help us make this film truly remarkable and focus on impacting as many people possible with this story, as well as having some pretty killer premier parties to celebrate the release with you all. Lets smash this stretch goal so we can impact as many lives as possible of the local communities featured in the film through the Monsta Foundation. Thank you + a shoutout on the Monsta Surf instagram story. HD early release digital download of the film. Yours to keep, view & share whenever you like, no streaming necessary! There will be some epic Premiere Parties to launch the film in Melbourne and Sunshine Coast at the end of April / start of May. Plus a HD early release digital download of the film. The best bottle you'll ever own + the early release digital download of the film and a ticket to the premier. 100+ page coffee table book featuring photos and stories from the Philippines adventures. Plus HD early release digital download of the film and a ticket to the Premiere Party. Limited Edition Team T Shirt [Never to be printed again] + Early Digital Download of the Film and a ticket to the Premiere Party. Three-minute video where Cam answers three of your questions. The ultimate pack for our tribe! Special thanks to you! Printed in our coffee table book. All credit to you, legend. 30x40cm Limited Edition Print of your choice from the trip + Book + Digital Download of Film. We will contact you with a choice of beautiful images to be printed. Settle in for a 30-minute phone call or skype with Cam (or the person of your choice). Ask him or them anything! Act as a co-interviewer with us on your choice of topic, published to thousands! Gear and photos provided! Details to be discussed after confirmation. All the glory to you & your art. Further details to be discussed, yew! Have a date with your favourite member of the crew! Further details to be discussed at the conclusion of the campaign. Come have an adventure with Cam & some of the crew for a day. Be our guest at the premiere of the film. Hang out with us before the premiere for some dinner & drinks and gain exclusive access to the afterparty! 1 Hour Mentoring Session + Follow Up. Create the vision that will drive your world into the future w/ our very own & in-demand thought leader, Cam Greenwood. Further details to be discussed at the conclusion of the campaign. Come join us for dinner, slideshow and a Q&A with Cam. You will also receive a Poster / T Shirt / Print / Book / Film. Travel costs not included. Further details to be discussed at the conclusion of the campaign. Brand Manager, Sean Dwyer, will TATTOO your initials on his arm. Limited edition custom surfboard shaped to your desire + Poster / Book / T Shirt / Film / Tickets. The ultimate froth pack. Further details to be discussed at the conclusion of the campaign. You have a story that the world needs to hear. Let us create a 2-3 minute story on you, your business or your world. Captured by our very own world class creative agency, Miraki Creative, the same crew who produced the Live Passionately film! Further details to be discussed at the conclusion of the campaign. Brand Manager, Sean Dwyer, will TATTOO 'Special Thanks, (your full name)' on his arm. There shall be no words about the font... Pls choose Comic Sans.